All rates quoted are in GB£. All bookings are to be confirmed with a 20% deposit or the equivalent of one night's stay, whichever is the greater. Full balance for Christmas and New Year holiday period bookings payable 12 weeks prior to arrival. Full balance for all other bookings payable 8 weeks prior to arrival. Bookings may be cancelled if payment is not received within terms. Departure time is 11am on the final day. However, if there are no new guests arriving on the same day, guests are welcome to depart at their convenience. Maximum stay is 45 nights. Minimum age to book, 21 years. Anyone under the age of 21 must be accompanied by someone over the age of 25. Christmas and New Year holiday period bookings cancelled less than 16 weeks prior to arrival are non-refundable unless the accommodation can be re-let. All other bookings cancelled less than 12 weeks prior to arrival are non-refundable unless the accommodation can be re-let. Gibbs Glade Cottage & Garden Studios is an entirely non-smoking property. Strictly NO SMOKING, either inside the accommodation or anywhere in the grounds. Thank you for your understanding. 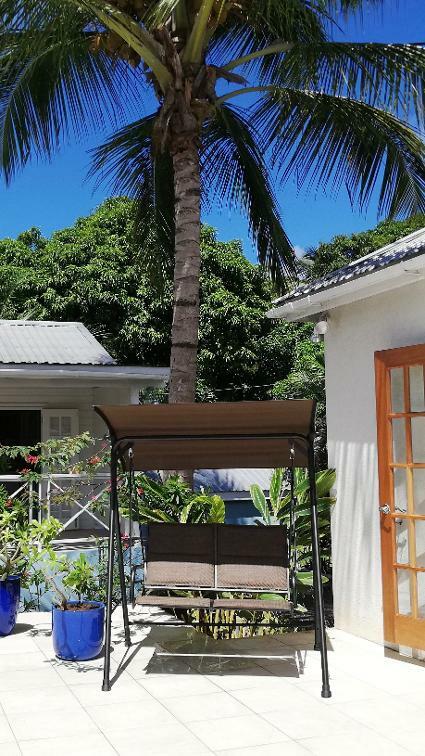 For the privacy, tranquility and security of all guests in residence, only the guests specifically named and registered at point of booking may come on to the property. Guests are not permitted to invite anybody who-so-ever onto the property without prior written permission from the owners. Please be aware that this rule is vigorously enforced, for the comfort of all guests staying at Gibbs Glade Cottage & Garden Studios. Failing to adhere to this rule may result in immediate eviction and the forfeit of all monies paid without notice. As no security deposit is required or requested, the guests are strictly liable for any damages, caused by themselves, their own guests, their invitees or agents to the property. In the event of any damages the guests shall be obligated to pay for any reasonable repairs or replacements. By making a booking the guests automatically confirm their agreement to release any claim for personal injuries or damages to themselves, their own guests, their invitees or agents which result from their presence on the property. All bookings are accepted on the basis that our Terms and Conditions have been read, understood and accepted.